I always listen to The New Rock Show on Planet Rock as Wyatt Wendels features 5 new artists each Saturday that are not heard during the day and it is an excellent opportunity to listen to some great bands that are probably new to many of those that tune into the show. So when Wyatt played the BlackWolf single Moving Mountains a couple of weeks ago, I really liked how they sounded and I wanted to hear more of them. This Bristol based 5 piece comprising of Scott Sharp (Vocals), Jason Cronin (Rhythm Guitar), John Greenhill (Lead Guitar), Ben Webb (Bass) and Thomas Lennox-Brown (Drums) this year funded an album via PledgeMusic within weeks, resulting in a brilliant album The Hunt. Harking back to the days of the classic rock with a contemporary sound this is certainly an album for anyone that likes rock. Scott Sharp has a great rock voice suited to the diverse styles on the album, sometimes bluesy, sometimes slightly southern tinged, sometimes pure rock they are always spot on for the tone of the songs. Add in the dual guitars full of riffs, the resonant bass alongside pounding drums from the rest of the band and you have an album that instantly becomes a favourite. The Hunt has 13 songs of rock at its very best. Tracks such as Mr Maker and Keep Moving On have thumping drums, dirty guitar riffs from the outset. Moving Mountains starts with an epic vocal with that bluesy style throughout that first grabbed my attention, whilst Faith In Me has that southern style on a slightly lighter note. Trouble ups the tempo that you just have to rock along to, with a very melodic Only Said In Silence soon following. House Of The Emerald Wine is a classic rock song reminiscent of many great bands I grew up with before Raised On The Sun starts off with a great guitar riff, the vocals soaring through the song behind a slower groove. Black Hole Friend takes you back to fast rock, fast vocals that thumps its way through the track before Dragging Ghosts is back to that blues sound the band do so well. Belief powers its way through the album, drums, bass, riffs and vocals all coming together to let you know why this is a band destined for success. Sleepwalking eases off the pace, haunting guitars leading into a slightly more soulful style and finally ending the album on a high of excellent rock with the song Sea Of Mercy. 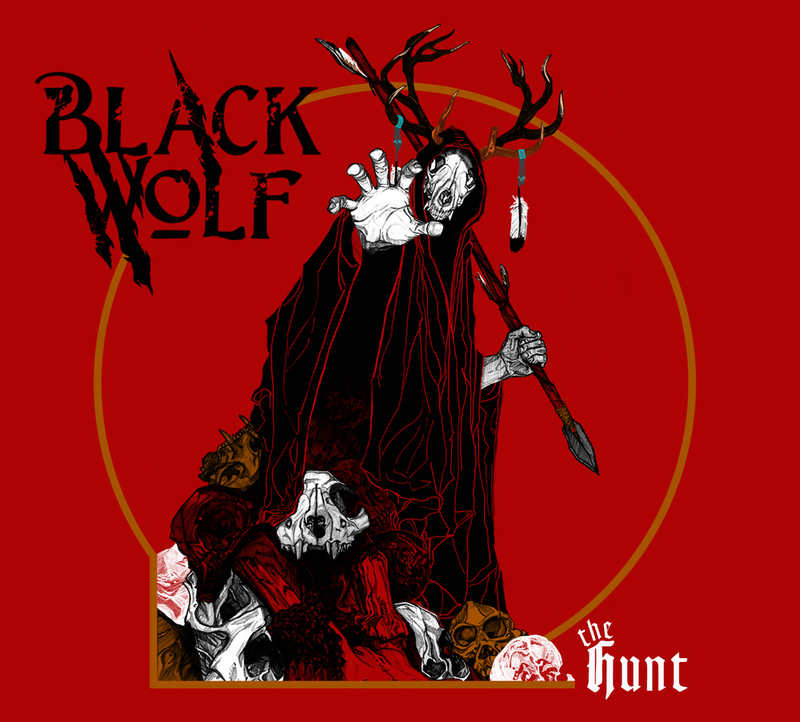 BlackWolf are able to take all the elements of rock and use them to craft a truly remarkable album with The Hunt, that just sounds great across all of the tracks regardless of the changes of style and definitely makes you want to keep listening to the album again and again. The band are embarking on a tour in the UK promoted by Planet Rock in September so it will be a great opportunity to see the band in a rightful headline slot after supporting the likes of The Union, The Temperance Movement, Toby Jepson and Voodoo Six, gaining attention and fans alike. With a recent nomination for Best New Band by Classic Rock Magazine, BlackWolf are going to be heard a lot more of in the future and with a great album The Hunt it is easy to see why. This band is certainly going to be doing a lot more than just moving mountains in the very near future. The website for BlackWolf is www.ukblackwolf.com where you can also purchase the album. They can also be found on Facebook http://www.facebook.com/ukblackwolf and Twitter @ukblackwolf. You can hear the band on Spotify and ReverbNation http://www.reverbnation.com/ukblackwolf if you don’t want to just take my word for it how good BlackWolf are.